CinemaNext, Ymagis Group’s leading exhibitor services provider in Europe (ISIN: FR0011471291, TICKER: MAGIS, PEA-PME-eligible), today announced the launch of Sphera, its new premium format cinema concept, delivering a superior moviegoing experience and content flexibility for cinema operators and theatre owners, at the upcoming CinemaCon 2017. CinemaNext will introduce Sphera next week at its booth #2313A (Augustus Ballroom) at Caesars Palace during CinemaCon, the official convention of the National Association of Theatre Owners (NATO), which takes place in Las Vegas (NV), 27-30 March 2017. Sphera offers the highest picture quality available today with deeper blacks, richer colors and finer details. Powered by EclairColor and the latest projection technologies, Sphera features a new digital HDR color solution that combines an innovative mastering process with the optimization of select projection system technologies. Presenting images with more contrast and greater fidelity, EclairColor delivers image projection of unprecedented quality, brings out detail, and gives a better sense of depth. Sphera projection systems are 4K and screens are wall-to-wall for greater impact. 3D projection is particularly powerful thanks to the configuration, and all auditoriums are HDR ready. 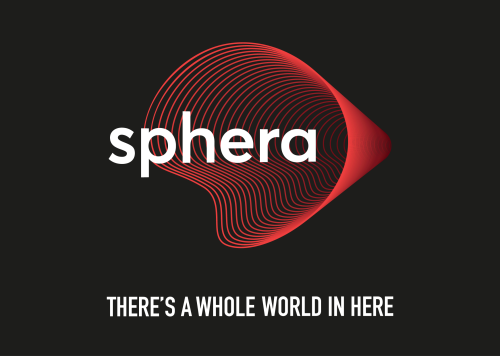 Using subwoofer technology based on the latest knowledge of energy transducers that is unique in the cinema industry, Sphera’s audio system is unrivalled. Moviegoers are literally enveloped in a surrounding sound, based on Dolby™ Atmos, that puts them center stage with intelligent and multidimensional delivery. It showcases a higher frequency than standard systems, with a greater, more powerful bass each moviegoer can feel instead of hear. There’s no need for cinema operators to rely on audio technicians, as the system is truly multi-purpose. Exhibitors can easily switch between configurations for different content using any device. Sphera’s designers have created a distinct interior concept that includes a lobby area, bar area and a unique Eames-inspired seat design, covered with material to reduce light reflection. An artistic, dynamic lighting system enhances the overall entertainment experience. It can be programmed to reflect content or mood; building anticipation, adding to the excitement or instilling a relaxed feel. The auditorium can become a 360° ambient light effect with different lighting for moviegoers’ arrival, advertising, movie trailers, breaks and credits. Sphera a is registered trademark of Ymagis Group.